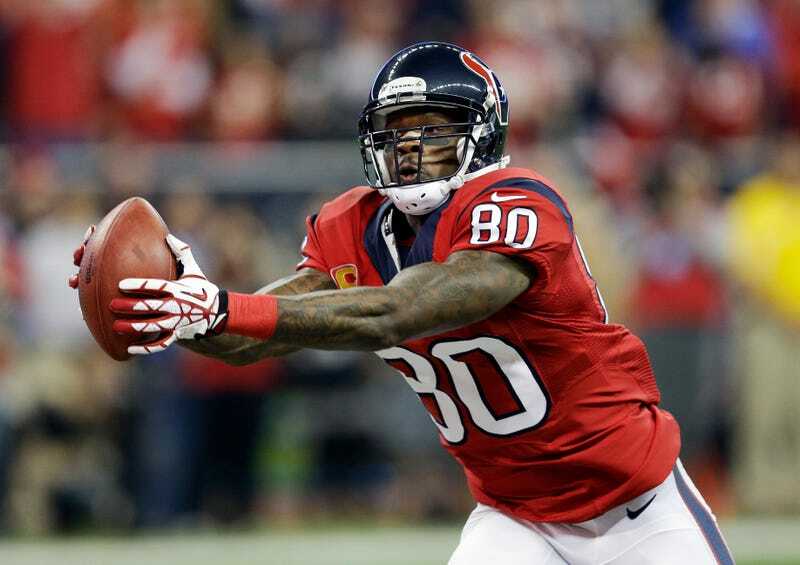 Wide receiver Andre Johnson had been dropping hints throughout the offseason at his displeasure with the current state of the Houston Texans, and it finally came to a head this week when he reportedly asked for a trade. The Texans quickly denied his request. McClain's last tweet is true. Johnson hasn't faltered even when the Texans' quarterbacks have. He's set a few NFL records in Houston, most notably being the only receiver to have at least 60 receptions in his first eight seasons. That not only takes skill, but longevity. The desire to leave isn't about money for Johnson; he's on track to make about $10 million this season. But he feels he's going to be wasting another prime season on a team trying to find its identity when he'd rather move to a contender. And though being nice doesn't guarantee anything, Johnson's made financial concessions for the betterment of the team. He restructured his contract in 2012 and 2013 so that money could be spent on other players. The team added some new fun toys to their defensive front seven in Jadeveon Clowney and Louis Nix, and they'll harass teams, but as McClain said, Johnson's their best offensive player. Running back Arian Foster's excellent, too, but Ryan Fitzpatrick at quarterback isn't ideal. Johnson's given quite a bit to help the Texans contend, and they're trying to convince him to finish out his career while they figure out a new offensive identity. We'll have to see if Johnson deals with the rebuilding, or uses his only way out: retirement. It could get ugly either way.